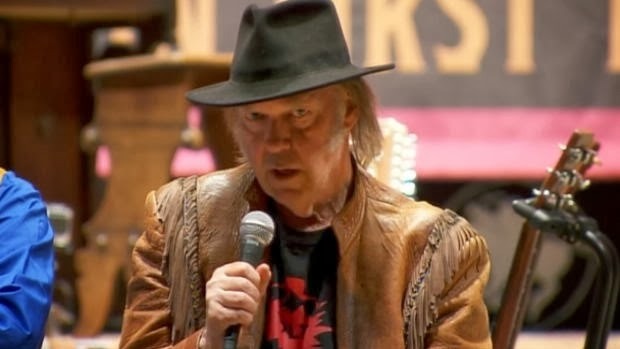 Former Winnipegger Neil Young has been in the news again in Canada, this time over his new "Honour the Treaties" tour that blasts Alberta's oil sands. Rock singers taking political stands is nothing new. What is different about Young is that he isn't shy about his model railroad hobby. 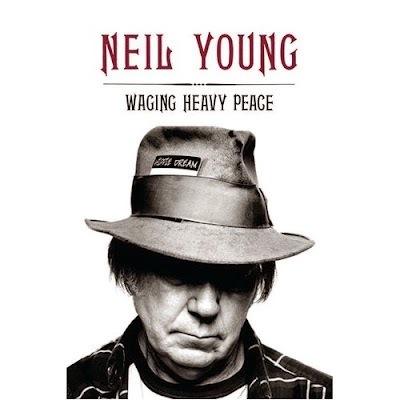 In his book, Waging Heavy Peace, he recounts how he got involved in model railroading, his experience with Lionel, and the reaction of some of his friends to his hobby. Here's a few snippets from the book. "It all started with Ben Young [his son, who has cerebral palsy]. I was just getting back into trains at the time, reintroducing myself to a pastime I enjoyed as a child. Sharing the building of the layout together was one of our happiest times." “I remember one day David Crosby and Graham Nash were visiting me at the train barn during the recording of American Dream . . . I saw David looking at one of my train rooms full of rolling stock and stealing a glance at Graham that said, This guy is cuckoo. He’s gone nuts. Look at this obsession. I shrugged it off. I need it. For me it is a road back." "Not that anybody ever comes here [into the layout room].You could count the visitors on your hand. Which is unfortunate, considering the amount that has gone into the display. The display and layout create a zen experience. They allow me to sift through the chaos, the songs, the people, and the feelings from my upbringing that still haunt me today. Not in a bad way, but not in an entirely good way, either." And Young is just like the rest of us model railroaders, who ignore our layouts for stretches of time. "Months go by with boxes piled everywhere and trains derailed with dust gathering on them. Then, miraculously, I reappear and clean and organize, working with every little detail for hours on end, making it all run perfectly again. This seems to coincide with the creative process." Young's wife always gives him Lionel collectibles for Christmas. Now he has a very extensive collection of rarities, all "proudly displayed behind glass" in his layout room. But back to the oil sands. This isn't the first time that Young has taken on the oil industry. In 2004 Lionel announced a limited edition Greendale train set, named in honour of Young's album, movie and graphic novel on the themes of corruption, environmentalism and mass media consolidation. The set includes "BIG OIL tank car" (capital letters in the advertising copy), a "Devil animated gondola" and presidential election campaign observation car--all items that "tells the story of modern day issues that besiege all of us on a daily basis." 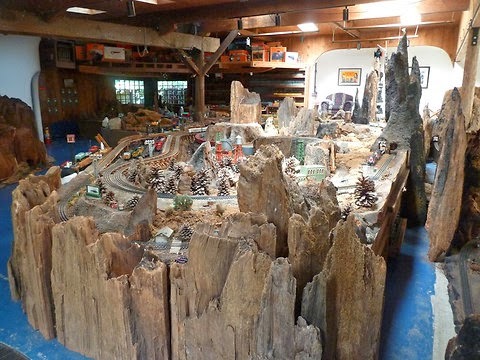 For more about Neil Young and model railroading, read two of my other posts: Neil Young and Clyde Coil: A Model Railroad Team and Neil Young and Model Railroading: "I am the Wizard of Oz." See also an interview of Neil Young with David Letterman, where they discuss their mutual interest in Lionel trains. Photo of Neil Young at top from the CBC.